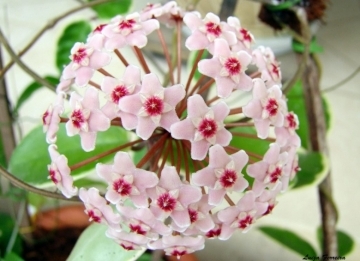 Hoya carnosa cv. Krimson Queen: (a.k.a. 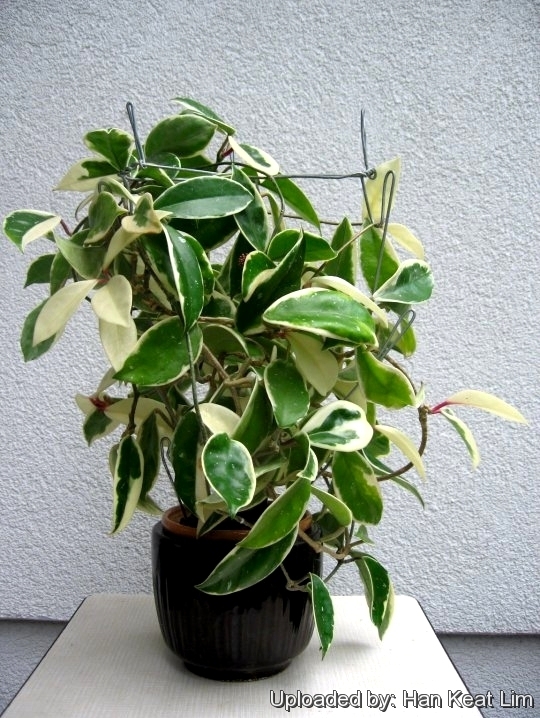 'Tricolor', or 'Variegata') This cultivar can be distinguished by the white or cream border on its leaves. It was patented by Cobia in the 1950s as 'Tricolor' and its patent expired in the 1970s. It was more commonly sold by its trademarked name of "Hoya Krimson Queen." Often there are sports or mutations or seedlings.